$1 Excellent Steamy Paranormal Romance Box Set Deal from 8 of Today’s Bestselling Paranormal Romance Authors! $1 Vampire Romance Box Set Deal! 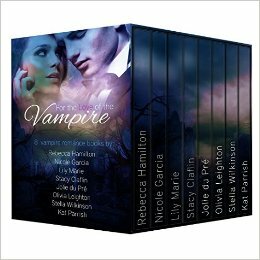 *Vampire Romance Boxed Set: For the Love of the Vampire (Deal, Not Free) by Rebecca Hamilton, Nicole Garcia, Lily Marie, Stacy Claflin, Jolie du Pre, Olivia Leighton, Stella Wilkinson, Kat Parrish. Price: $0.99. Genre: Adult Romance Box Set Deal of the Day, Sponsor, Vampires, Paranormal Romance, Werewolves & Shifters, Multicultural & Interracial, Witches & Wizards. Rated: 4.8 stars on 28 Reviews. 705 pages. ASIN: B01BKUFQIE. Reviewers love it: More than a week’s worth of vampires! There is pretty much a story for everyone here. The heat level ranges from five jalapenos down to one and these books are fun! Guaranteed to warm you up in a cold winter’s night! They bring an entire world alive in a few pages! Quality writing! The Secret Keeper (The Secret Keeper Series Book 1) by Angela Carling, Patti J Hultstrand. Price: Free. Genre: Paranormal, Angels. Rated: 4.6 stars on 26 Reviews. 200 pages. ASIN: B00X0FZWHS.